Many people in this country feel that marijuana should in fact be decriminalized. Multiple states, counties, and cities have decriminalized marijuana. Most places that have decriminalized marijuana have civil fines, drug education, or drug treatment in place of incarceration and/or criminal charges for possession of small amounts of marijuana, or have made various marijuana offenses the lowest priority for law enforcement. A few places, particularly in California, have removed almost all legal penalties for marijuana, including personal cultivation. In Tennessee, possession of Marijuana is a Class A Misdemeanor and can carry with it a fine of up to $2,500 and a jail sentence of up to 11 months and 29 days. First convictions for any misdemeanor has a mandatory minimum fine of $250. Second convictions $500, and subsequent convictions, $1,000. A person in Tennessee found in possession of more than one-half an ounce or 14.75 grams, may be charged with possession with intent to sell, a felony charge. The class of felony will increase depending on the amount of marijuana a person is charged with being in possession. Persons who argue against the decriminalization of marijuana say that the use of marijuana leads to the use of other illicit drugs. In 1985, Gabriel G. Nahas published “Keep Off the Grass”, which stated that “[the] biochemical changes induced by marijuana in the brain result in drug-seeking, drug taking behavior, which in many instances will lead the user to experiment with other pleasurable substances. The risk of progression from marijuana to cocaine to heroin is now well documented;” however, this claim has yet to be scientifically proven. Multiple opponents of marijuana decriminalization have claimed increased marijuana use results in increased abuse of other illicit drugs; however, multiple studies have found no evidence of a correlation between marijuana use and the subsequent abuse of other illicit drugs. In 1997, the Connecticut Law Revision Commission reviewed examined states that had decriminalized marijuana and found decriminalizing small amounts of marijuana has no effect on subsequent use of alcohol or “harder” illicit drugs. The study recommended Connecticut reduce marijuana possession of an (one ounce) or less for adults age 21 and over to a civil fine. In 1999, a study by the Division of Neuroscience and Behavioral Health at the Institute of Medicine entitled “Marijuana and Medicine: Assessing the Science Base,” found no evidence of a link between marijuana use and the subsequent abuse of other illicit drugs on the basis of its particular physiological effect. In 2004, a study by Craig Reinarman, Peter D. A. Cohen, and Hendrien L. Kaal entitled “The Limited Relevance of Drug Policy: Cannabis in Amsterdam and in San Francisco,” was published in the American Journal of Public Health. The study found no evidence that the decriminalization of marijuana leads to subsequent abuse of other illicit drugs. The study also found the mean age at onset of use of marijuana and the mean age of the average marijuana user are both higher in Amsterdam than in San Francisco. The Drug Enforcement Administration (DEA) has claimed that marijuana decriminalization will lead to increased marijuana use and addiction in the un-sourced pamphlet entitled “Speaking Out Against Drug Legalization”. 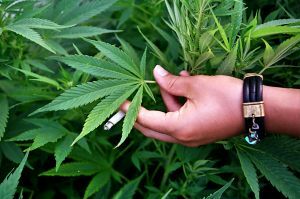 The pamphlet states in 1979, after 11 states decriminalized private marijuana use, marijuana use among 12th grade students was almost 51 percent and in 1992 and when stricter marijuana laws were put in place, the usage rate reduced to 22 percent. The pamphlet also states that when Alaska decriminalized marijuana, the marijuana use rate among youth rose twice as much as the youth usage rates nationwide; even though the decriminalize law did not apply to anyone under the age of 19, the pamphlet explains this is why Alaska re-criminalized marijuana in 1990. Multiple studies are in contradiction with the DEA’s statement and suggest that decriminalized marijuana laws do not result in increase marijuana usage. In 1997, the Connecticut Law Revision Commission reviewed examined states that had decriminalized marijuana and found any increase in marijuana usage was less than the any increase than in states that have no decriminalized marijuana; furthermore, the commission stated “the largest proportionate increase [of marijuana use] occurred in those states with the most severe penalties.” The study recommended Connecticut reduce marijuana possession of an (one ounce) or less for adults age 21 and over to a civil fine. In 2001, a report by Robert MacCoun and Peter Reuter entitled “Evaluating alternative cannabis regimes,” was published in the The British Journal of Psychiatry. The report found there is no available evidence marijuana use would increase that if marijuana were decriminalized. 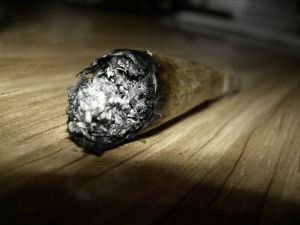 In 2004, a study entitled “The Limited Relevance of Drug Policy: Cannabis in Amsterdam and in San Francisco,” found strict laws against marijuana use have a low impact on usage rates. Multiple U.S. based advocate groups exist, such as Law Enforcement Against Prohibition, Students for Sensible Drug Policy, The Drug Policy Alliance, the Marijuana Policy Project, NORML, and Coalition for Rescheduling Cannabis. There are many individual American marijuana activists, such as Jack Herer, Paul Armentano, Edward Forchion, Jon Gettman, Rob Kampia, and Keith Stroup; Marc Emery, a well-known Canadian activist, supports activism in the U.S. among other countries by donating money earned from Cannabis Culture magazine and Emeryseeds.com.